Dayton, Ohio -- Worth Visiting? I've heard that parts of Dayton can be sketchy/unsafe. Is this true? Which parts? Any specific recommendations for sights/museums? Any not worth going to? Is this even a good idea in the first place? Should we just skip Dayton and stop in, say, Columbus instead? Re: Dayton, Ohio -- Worth Visiting? The National Museum of the US Air Force is a great museum, and a must see if you've never been. Its definitely worth the price of admission (its free). Definitely don’t miss the XB-70 Valkyrie. I went to college in Dayton and usually go there once a year for a basketball game. If I stay there, it is the Marriott by the University of Dayton. There is not much downtown. That said, if I was in your shoes, I would time my visit to see what you want to see in Dayton and then stay in either Cincinnati or Columbus depending on what direction you are heading. Both cities are better for staying downtown for restaurant, bars, etc. Each city is only an hour and a half or so from Dayton. If you are into more urban experiences (restaurants etc) Columbus is definitely the better bet. Safety is not a problem in any of the tourist areas. If you are coming primarily for the Air Force Museum, it is probably better to stay in one of the chain hotels in that area rather than the limited options downtown. Yellow Springs is also a cool town if you want more of a funky/artsy experience. I visited Dayton with my kid a few years ago, as part of the Science Olympiad. We were put up in Wright State University, but vaguely recall that there were some hotels close by. It was not too shabby, though when we drove around town, there were a few streets that appeared sketchy. Not too bad, I would say. We did visit the air force museum, though to me it was just information overload. I'm divided on museums anyway, so I might not be the right person to share my opinion on this one! We did rent a car and drive down to Cincinnati for half a day (it is about a couple of hours) - the rest of the gang went to one of the theme parks close by. I will confirm that the Air Force museum should not be missed. It is large, and you should allow plenty of time if you want to see everything. Another thing to see, if you like this sort of thing, is the Ohio Caverns. It is located in West Liberty OH, about 30 miles from Dayton. We took our children there when they were young, and they were fascinated by the stalactites and stalagmites. If you have never been to one of these, it is an interesting experience. +1 for mentioning Science Olympiad! Did I compete against you in either Atlanta or Raleigh? I grew up in Cincinnati and lived in Dayton for 10 years. We were so happy to leave Dayton. We returned a few years ago to see some old friends, and Dayton had only become shabbier. IMO, the Air Force museum is the only attraction worth seeing in Dayton. Downtown Dayton is just nothing. I don’t remember there being any very good restaurants—most are chains. Cincinnati is one hour from Dayton and Columbus is an hour and a half. Driving straight from Cincy to Columbus is about two hours. Both cities have much to recommend them in terms of attractions and dining. I’m not that familiar with Columbus, but there are unsafe parts of Cincinnati. I no longer know exactly what parts those are since I don’t live there—if you go, research ahead of time. I'm planning a road trip and considering making Dayton one of the stops. In my opinion, Dayton is definitely worth a stop to visit the Air Force Museum, which is incredible. But I would not suggest staying overnight, as there isn't much else there worth seeing. Assuming it is along your general route, plan to visit the museum for 3-4 hours, then continue on to your next stop. The Air Force museum for sure. I have stayed in Dayton several times and don't know if there is a "downtown" or what it's like. Most of the northeast cities (indeed, cities pretty much anywhere) have good areas and bad areas. There seem to be some Wright Brothers sites in Dayton. Have a look on the web and see if they interest you. I don't know of anything to see in Columbus. Not saying there isn't, just that it was never on my radar. Cleveland has a very good art museum. Free, and newly expanded. Not quite the Met but only a step below. Be prepared to walk a lot. There's a lot to see including a B-52. Not a lot of places you can go to that has a B-52 on display. Dayton AFM also has Boxcar on display. The B-29 that dropped Fat Man, the bomb that ended WWII. There's an app you can download, Cockpit 360 that takes you inside the planes like the Valkyrie. I'm not particularly a history guy, but the Air Force Museum might be worth the trip just itself. I have family who lives within an hour from Dayton and we visited the museum and it was well worth it. There are also some breweries in and around Dayton. You could visit nearby Springfield and check out Young's Dairy Farm and the town of Yellowsprings is worth a look. A few nights would be plenty, but there is enough around to make it decent. Carillon Historical Park is interesting. Agree. The Carillon Park includes a museum that features exhibits all of the industries that originated in Dayton. I can honestly say that it was the BEST museum that I went to in the past year. Other than that, the Art Institute, and the Air Force Museum (and a stop at Young's Jersey Dairy in Yellow Springs), I cannot think of any other reason to go to Dayton. Other than a stop at one of the finest grocery stores in the country - Dorothy Lane Market. This has two Wright brothers sites: the Wright cycle shop and visitor center just west of downtown, and the Huffman Prairie flying field, where they tested their early airplanes, outside of town to the northeast. Carillon Park isn't part of the national historical park, but it has a replica or reconstruction of one of the early Wright airplanes, several old buildings that have been moved there and restored, and a nice collection of old vehicles (cars, locomotives, streetcars). I enjoyed all three of these a few years ago. You can easily fill up a day with them. Start with Huffman Prairie in the morning, then go into town for the cycle shop and Carillon Park. Last edited by 22twain on Tue Oct 09, 2018 9:53 pm, edited 1 time in total. "I don’t remember there being any very good restaurants—most are chains." Last edited by TheNightsToCome on Wed Oct 10, 2018 9:33 am, edited 1 time in total. Hey so I live in Dayton metro (burbs). 2. Oregon District is where the action is. If you can find something around there it would be your best bet. 3. Air Force Museum as everyone mentioned (just added a 4th hangar a few years ago. It has all the historical Air Force One's.) Carillon Park is fun (has one of the very early Wright Flyers.) Carillon also has some of the history of the area, NCR and a bunch of other things. The new library downtown is very nice. 4. Food in Oregon District: Corner Kitchen (personal favorite), Salar, Roost, Wheat Penny, Coco's... There are so many great choices. 5. Lots of hiking around the area and a fantastic "rails to trails" system for running and biking. You can go from Cincinnati to Columbus on the trails. 6. Dayton has a very rich history but it's had a rough couple of decades. The metro is doing relatively well and like most of the country has been lifted by great economics. Dayton and Cinci will merge at some point with many people currently living in either or and commuting back and forth. Having said all that Columbus is a great city too! I just lacks the heritage that made Dayton so special. We really enjoy living here and it's a great place to raise a family. Shoot me a PM if you need more info! Ohio’s rate of overdose deaths is the second highest of all US states (only exceeded by West Virginia), and more than double the national rate, and Ohio’s number has tripled since 2010. Large parts of Dayton look like a bombed out urban wasteland. Dayton, in Montgomery County, is among the worst city in Ohio with the most overdose deaths, sharing the spot with two other Ohio cities: Toledo and Cincinnati. I lived in the CITY of Dayton for five years. The notion that you can point out one area of town and state that you can just avoid this one area and you will have no problems is misleading and inaccurate. I was a witness to two stabbings, one in the Oregon District and the other around the Miami County Courthouse at Third and Ludlow downtown. I addition, I was assaulted in the Walnut Hills area near Wayne and Wilmington. There are issues in a number of neighborhoods throughout the city which is not unusual in a city that has undergone the significant loss of blue collar opportunities. Rough COUPLE of decades? I could make a strong argument that the last FIVE decades has been one of fairly steady decline of the City of Dayton. I spent a week there earlier this year and I have not seen a major change in the urban core. However, getting back to the original subject, yes, the Dayton area is worth a visit od at least a couple of days. Then name of that B-29 is actually "Bockscar," named after the first captain of the airplane Frederick Bock. I can second that a visit to the AF Museum is well worth it. I live just a short distance away, and wasn't aware much of Dayton was a Mad Max style dystopian society. Could you elaborate on specifically where these "large parts" of Dayton resemble a "bombed out urban wasteland"? We stopped in Dayton for a daytrip a couple years ago after staying in Cincinnati. I am an aviation nerd and I found Huffman Prairie to be particularly poignant after reading David McCollough's excellent book on the Wright Brothers. The last chapter is set at Huffman Prairie and it almost brought a tear to my eye standing on the spot there thinking about it. Thanks for the tips & insights, folks! I appreciate it. Like the poster above me, I also read the Wright Bros. book and think it would be cool to visit the bike shop and Huffman field. Looks like the bike shop is in the dreaded "West Dayton" though, eh? I presume it's not too bad in the daytime? The OP wants to visit and a misleading portrait of Dayton serves no purpose. I could pick any region, throw out some terrible statistics, and paint a terribly unfair picture of a region. I assume there are areas in new York, Chicago, Los Angeles, Seattle, Miami, etc that are terrible but I would still visit there. Dayton has some great things to tour, there are great area to live, and it has some great restaurants and pizza. Last edited by bengal22 on Wed Oct 10, 2018 8:11 pm, edited 1 time in total. No reason to avoid any area. Just use common sense like you would in any city. The bike shop and Dunbar house are must see spots. Grad some greater ice cream, mikesell potatoe chips, and Marion pizza while you are there. There are also some good micro breweries. You might also stop at Wright Patterson AFB and ask to see the alien bodies that are kept there! I live in Dayton and concur with the positive things said about the city - the air force museum is world class...but awesome quaint restaurants too. 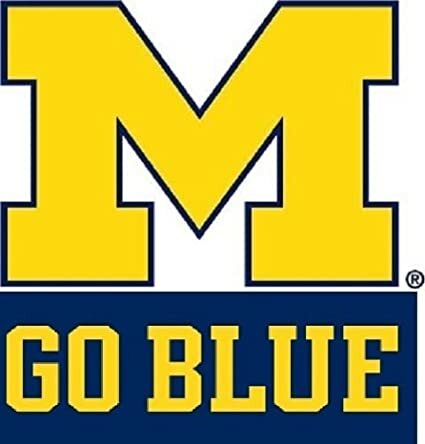 Is there a Division One team in Michigan? If there were, I would have heard about it by now. Was in Dayton for son's graduation from Airforce school. Ditto on the Airforce museum. Free. Had to work hard to see it in one day. Firehouse BBQ on NE side great dinner. I don't know man... there are families walking around the certain parts of the city now. I've never felt unsafe. Ever. My wife and I go downtown to eat all the time. It's really great. I perused the article and found no mention of "large parts" of Dayton looking like a "bombed out urban wasteland." Could you copy/paste the sections of the article that describe this? Or better yet, why not provide your firsthand experience of the city and what specific areas you were referring to. Calm down Researcher. The OP asked if anyone thought Dayton had some "sketchy areas". I replied yes. You seem to have a different opinion. That's absolutely fine, and how these types of forums work best with readers forming their own opinions based on various replies/perspectives/opinions. Suggest you watch the Frontline program on Dayton listed in the article, if you are genuinely interested in learning more about the sad situation that is modern day Dayton (along with lots of other US midsize rust belt cities). The OP asked if anyone thought Dayton had some "sketchy areas". I replied yes. You seem to have a different opinion. That's absolutely fine, and how these types of forums work best with readers forming their own opinions based on various replies/perspectives/opinions. Calm down, jabberwockOG. I was just calling out your outrageous, fear mongering claim so the OP would know to ignore it. You didn't say that there were "some sketchy areas" in Dayton (as there are in virtually EVERY large urban area). What you said was that "large parts of Dayton look like a bombed out urban wasteland." If you were "genuinely interested in learning more about the sad situation in Dayton", you would not create fabricated/fictional/imaginary descriptions of the place. Any city or area can be falsely bashed. I live in Cincinnati. If you're looking for a good place to stop for lot's of stuff to see and do, I recommend Cincinnati over Dayton for sure. However, the Airforce Base Museum in Dayton is pretty cool and worth a stop if you feel inclined. With reference to some earlier posts, the discussion is starting to get contentious. Please stay on-topic and state your concerns in a civil, factual manner. Realized I never followed-up on this. Bottom line: We went to Dayton. Yes, it is worth visiting. Got in in the late afternoon. Checked into one of the few downtown hotels--the Crowne Plaza. Convenient, free parking in the garage across the street. Walked just a couple of blocks east to the "Oregon District". Lots of restaurants, bars, cafes, etc. Looks like they're doing a pretty good job of revitalizing the neighborhood, although there are still a couple of "adult" establishments that (I'm assuming) are remnants of its sketchier past. Did not feel unsafe walking around though. Had some pretty decent Thai food for dinner, then nightcaps back at the hotel's excellent top-floor lounge. Next stop was the Air Force museum, and there's not much I can add to what already been said about that place. Holy moly! We had to set clear priorities on what to see and what to skip. I'd go back in a heartbeat. Really amazing place. After that, we drove a bit further east to the surprisingly-hard-to-find Huffman Field. Oddly low-key considering how important/significant the site is. We were the only people there. It was awesome. Overall, we're glad we visited Dayton. Thanks to all here for the tips/advice. Did not feel unsafe walking around though. I'd go back in a heartbeat. Really amazing place. I'm glad you enjoyed your visit. It is great to hear that you weren't impacted by the "large parts of Dayton that look like a bombed out urban wasteland" as described by jabberwockOG.